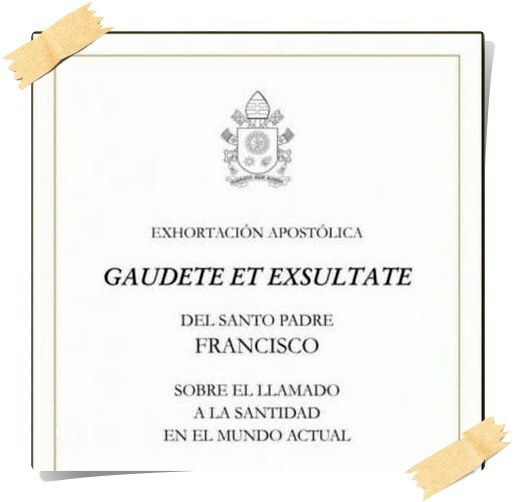 On Monday Pope Francis released his third apostolic exhortation, Gaudete et Exsultate, a teaching for all People of God to aid us in our path to holiness, which he defines—from the writings of Pope Benedict XVI—as “nothing other than charity lived to the full.” Holiness can seem to be a daunting task, but charity can feel a bit more attainable. St. Francis de Sales dedicated his life to helping his parishioners grow in holiness, and when Pope Paul VI declared him a doctor of the church, the 17th century bishop was given the title Doctor of Love to honor his rapt attention on charity. Over the next five weeks, DeSales Weekly will present reflections on the intersections between Salesian spirituality and the five chapters of Gaudete et Exsultate. This holiness to which the Lord calls you will grow through small gestures. Here is an example: a woman goes shopping, she meets a neighbour and they begin to speak, and the gossip starts. But she says in her heart: “No, I will not speak badly of anyone.” This is a step forward in holiness. Later, at home, one of her children wants to talk to her about his hopes and dreams, and even though she is tired, she sits down and listens with patience and love. That is another sacrifice that brings holiness. Later she experiences some anxiety, but recalling the love of the Virgin Mary, she takes her rosary and prays with faith. Yet another path of holiness. Later still, she goes out onto the street, encounters a poor person and stops to say a kind word to him. One more step (no. 16). The important thing is that each believer discern his or her own path, that they bring out the very best of themselves, the most personal gifts that God has placed in their hearts (cf. 1 Cor 12:7), rather than hopelessly trying to imitate something not meant for them. We are all called to be witnesses, but there are many actual ways of bearing witness (no. 11). The one place where Pope Francis references DeSales’, from hisTreatise on the Love of God, concerns completing the ordinary tasks of our days with extraordinary grace in the present moment. Each moment, no matter how seemingly weighty or insignificant, contains opportunities for goodness. The pope’s charge is basic and simple, quite like the water that brought us into the life of Christ through baptism. May we live Jesus with a simplicity and charity that lifts us to a middle class of discipleship to grow together in holiness.